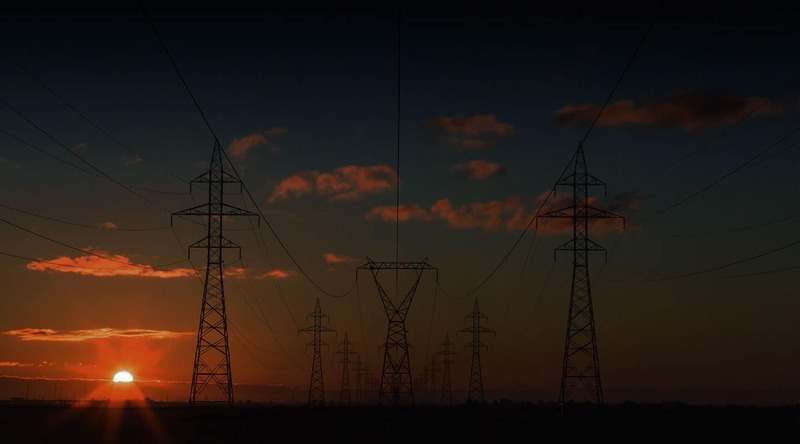 Globally, the length of power transmission lines is expected to reach almost 6.8 million circuit kilometers in 2020 owing to increasing energy demands. Understandably so, the reliability of energy supply is high priority and hence, it is imperative to maintain transmission and distribution infrastructure in top condition and minimize outages. But the task of maintaining and inspecting high voltage transmission and distribution lines by the conventional techniques is difficult, dangerous and costly. With advances in drone technology, the use of drones in the power and utility sector is growing rapidly. In a recent report, PwC pegged the value of addressable market for drone-powered solutions in this sector at USD 9.6 billion. 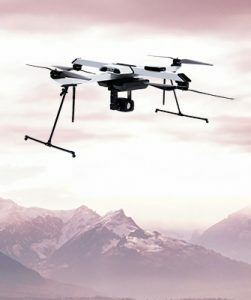 Drone-powered solutions can improve manpower safety, speed and efficiency of routine maintenance activities and troubleshooting by completing eliminating manned aerial surveys, rope access or on-foot inspections. High-quality data from drones can save thousands of dollars and hundreds of hazardous man-hours while improving asset-life and reducing outages. 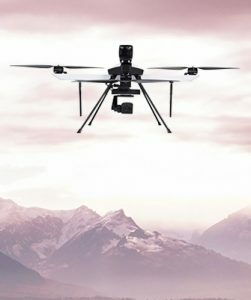 Drones can carry a varied range of cameras for higher resolution visual inspection to detect hot spots, insulator flashovers, cracks, chipped ends, and more. They can access hard-to-reach infrastructures for detailed inspections and provide maintenance of assets spread over a vast area in comparatively lesser time and costs. Drones can also execute dangerous inspection procedures and thus, enhance on-site safety. ideaForge’s industrial-grade drones are designed to resistant to electromagnetic interference. These compact and nimble can manoeuvre efficiently along high-voltage power transmission and distribution infrastructure gather rich data sets to identify and mitigate risks in power distribution in advance. 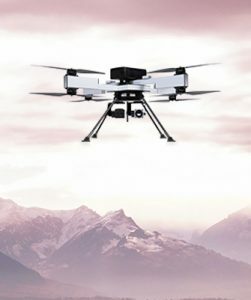 ideaForge’s drones allow for inspection of towers and assets from a safe distance with real-time images and video feeds that are much superior to ground-based inspections. Owing to their class-dominating endurance and flight time, ideaForge’s drones have demonstrated time and cost savings of 60 – 70% while exponentially improving worker safety.